My father works as a government official for a leading university in Delhi. He has served the university for nearly 40 years. I don't remember seeing him with a broom ever. You heard it … never! I felt so proud of him recently for being part of an "intensive cleanliness campaign" at his workplace this year. He is above 60. At his age, he has not only set a precedent for the children and adults in the Prabhakar household but has inspired so many outside his sphere of influence as well. Many thanks to our Prime Minister - Narendra Modi - as well, who kick-started a nationwide cleanliness campaign called the 'Swachh Bharat Mission' or 'Clean India Campaign' on October 2 this year. October 2 is celebrated as Mahatma Gandhi's birth anniversary (or Gandhi Jayanthi). The campaign has inspired many Indian bureaucrats and government officials, including my father, who took a Swachta Shapath or cleanliness pledge the very same day. Modi has urged India's entire population to join the campaign and promote it to everyone. That's 1.25 billion people for record. For a country like ours, a campaign of this nature can only be successful if there is enough participation and action by everyone. Here are my top recommendations to promote the 'Swachh Bharat Mission' or 'Clean India Campaign'. A massive public awareness needs to be created to clean – you could start from public places like streets, schools, colleges, hospitals, railway stations, bus terminals, markets … and gradually move to government offices, monuments, rivers, lakes, ponds, etc. Immediate results will attract more people to enroll in the campaign. You can create and display posters and banners in shops, restaurants, cafes, bus shelters, factories, community centers, and public notice boards. You can even distribute mini posters, stick-up strips, leaflets, pamphlets, and car-bumper stickers. All postal items and cinema tickets should bore stamps with the Swachh Bharat Mission slogan. Just as you'd clean your home regularly, don the responsibility of keeping the country clean. Don't underestimate the power of voice to clean India. Authorities need to know about places that require cleaning. By voicing your opinions and informing concerned departments, you can do your bit and make a difference. A few weeks back, I wrote a blog post about how we can eliminate open defecation from the world. 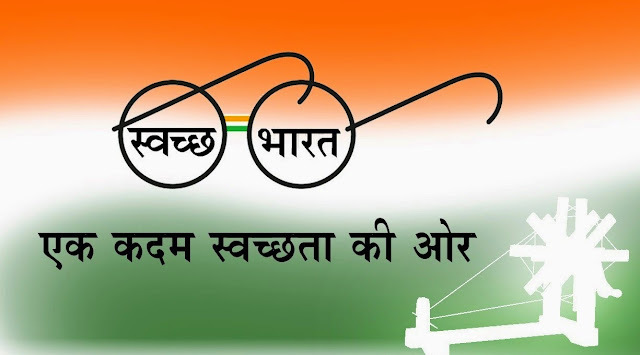 As part of the Swachh Bharat Mission, over 800 million toilets will be built by 2019 and modern sewage systems will be set up to make India an open defecation free nation. Why 2019? Because the same year marks the 150th anniversary of Mahatma Gandhi. What better way to pay tribute! A website can provide a communication outlet to voice concerns or post suggestions to the relevant authorities. A classic example is the Municipal Corporation of Delhi (MCD) that has a website, http://www.mcdonline.gov.in/. The site is further trifurcated into three portals – one each for North Delhi Municipal Corporation, South Delhi Municipal Corporation, and East Delhi Municipal Corporation. You could use the site for promoting events, registering complaints or grievances, etc. In most developed nations, one can spot a dustbin every 500 meters. But not in India due to concerns related to blasts and causalities. The government agencies should install dustbins or trash cans on highways, markets, and residential areas. Also, increase staff to maintain the bins regularly. Singapore is one of the cleanest and greenest cities in the world today. But it wasn't so until 1st October 1968, a time when Prime Minister Lee Kuan Yew launched the Keep Singapore Clean campaign to address the problem of inconsiderate littering. Owing to littering, morning walks on the most beautiful beaches in our country are not pleasant anymore. It is shameful to see men urinating in public or people of all age groups throwing garbage on the streets. If you throw trash on road, it doesn't go away ever. Empathize with roads. Municipal bodies in India should also take a leaf from Singapore and penalize anyone found littering or spitting. By making it an offence, authorities will have a better handle on the situation and the sanitation will further improve. Also, on-the-spot challans can deter people from littering in public places. Finally, raise your voice and make a difference. It is all we have. Join the conversation with Montu using the hashtag #AbMontuBolega and work towards a cleaner India.